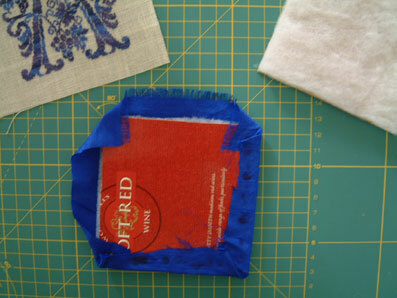 Cut out your design, leaving spare fabric for the border plus about 3/4″ extra all round. 2. Place one piece of batting on each piece of card. You can glue the batting lightly in place if you want, but glue isn’t essential. 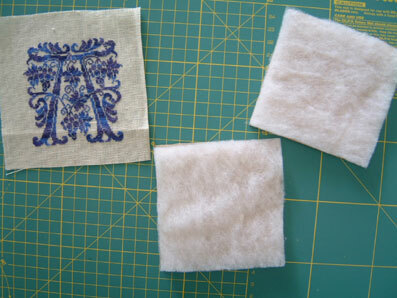 Both pieces can be either laced or glued. 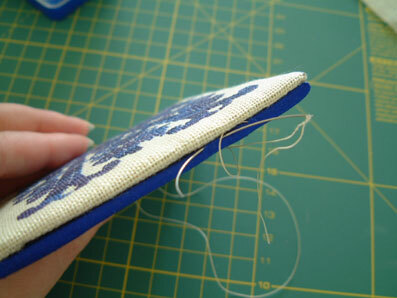 I have shown each method here but if you don’t like glue near your stitching then just lace both sides. 4. Optional step. 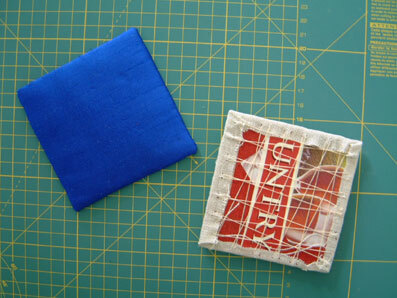 Glue the two pieces together so the fabric sides are outermost. 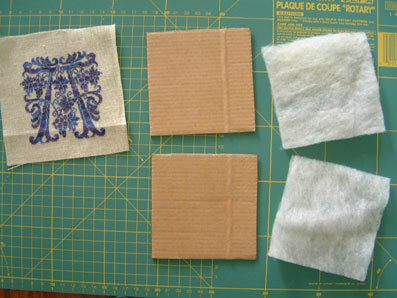 If you don’t want to use glue you must sew the pieces together as in step 5. And there’s your pinkeep finished! Easy to do. This entry was posted in Classes, Pinkeeps, Tutorials. Bookmark the permalink. Nicki…awesome tutorial…photos and description made this a fool proof project.. Thanks fro all your gelp. 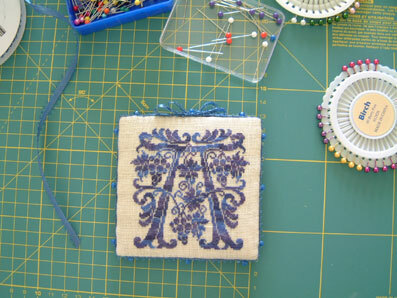 I have a tiny French design of a needleworker at her floor stand done in black on a light rose. I am going to make the pinkeep with black ribbon on the edge and silver pins. Will take a picture as soon as it is finished. Yay! Thanks for the great instructions, Nicki! I just finished my first pinkeep! This is a great tutorial, thank you very much Nicki for taking the time to write it. I’m not sure I have time to make one this weekend but I will definately be referring back to this when I make my first one! Wonderful tutorial, Nicki! You make it look so easy…and gives me courage to try one…again! My first attempt was a glueing disaster! Thanks for the great tutorial, Nicki! I’ve never made a pinkeep, but I think I’m going to have to try my hand at making one now. Thanks for that, now i can make a pinkeep. Thanks so much for the great tutorial! I will follow your steps, making my first pinkeep! Dear Nicki, thank you for the excellent class! This is exactly how I was taught to do it as a child. I’d like to know the source/designer of the initial–that style with the grapes growing over it would so suit us. Thanks again! Great idea! And great tutorial–very clear with great step-by-step pictures. felicitaciones, ahora si podre hacer my pinkeep y muchas gracias por las clases, un saludo de todo corazon desde Chile. What a lovely project! WordPress linked my blog to this post so I had to come and see, and I’m glad I did! I’m going to have to make some of these. Gracias, muchas gracias por ese tutorial, explicación perfecta con paso a paso y dibujos…..felicitaciones y gracias por compartir tus conocimientos con todas nosotras………….yo estoy encantada, tenía tiempo queriendo hacerlos, para recuerdos de nacimiento con figuras de bebes …estoy a tu orden desde Venezuela.